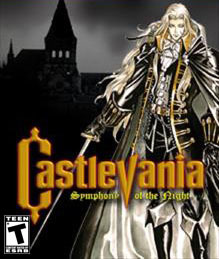 Castlevania Symphony of the Night is a single player 2D side scrolling action adventure platformer and it was released for the PS1 in 1997. SOTN picks up right where Castlevania Rondo of Blood ends, "Spoiler" Richter Belmont had made is way and is about to fight the final battle with Dracula. After defeating the King of all Vampires Richter suddenly disappears. 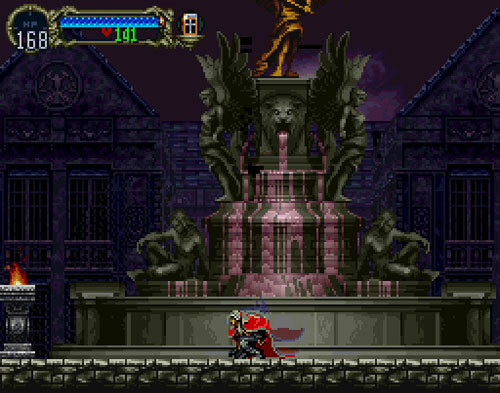 Five years later Alucard comes to Castlevania to destroy the structure. Alcuard runs into Death and is warned to stop what he is doing. He refuses and Death removes his powers, armor and weapons leaving him to have to fight his way through the lair and to find his things to destroy Castlevania and find out why the evil structure and all of its creatures have returned once more. 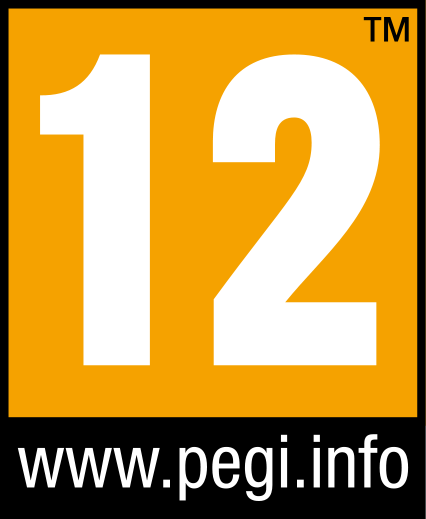 This is an open world game so you can go anywhere you want for the most part. There are sections that are closed off until you find an artifact or weapon but this is one of the best parts of the game, figuring out how to get in places. There are some really good storyline elements and the voice acting in some part is good and in others they are a little off. As you go, there are two castles to venture through. About half way through the game a second castle appears inverted to the first castle. The world you spent going through is now twice as big but now the ceiling is the floor and the floor is the ceiling. It doubles the size of the game and the amount of time playing plus there is new doors to figure out and new weapons to find. 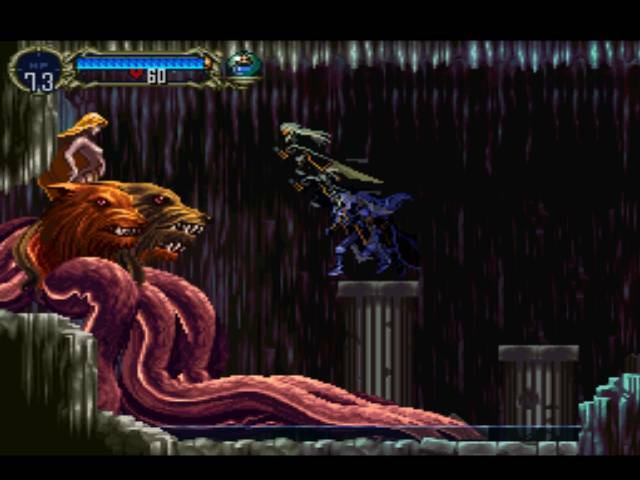 SOTN turned out to be one of best things in the PS1 generation and is still as much fun now as it was then if not better. Castlevania Symphony of the Night took us between 12 to 15 hours to get through the main story. It took us over 20 hours to get a 100% map completion rate. Both castles are worth searching to find everything. $10 is perfect but if you want to wait it does go on sale several times a year for both Xbox and PlayStation systems under $6 and sometimes under $5. At that price point it is hard not to buy it and start playing. Having had a copy of the game for the PS1 it is nice to see that we still had just has much fun trying to get a 100% map completion as we did now as a download on PlayStation Network. The PS1 copy should work in you PS3 if you happen to still have or find one. This is one of those games you will pick up and play again and again even after you have done everything. It is a must own game for classic gamers!